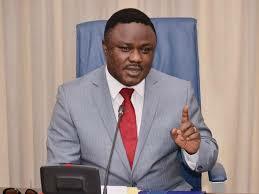 Governor of Cross River State, Senator Ben Ayade has said that he has the capacity to defeat his opponents and antagonists. He said he has returned from his leave fully prepared to give them a good fight. Ayade, who said he was a good fighter, added that the growing list of critics including within the PDP would fizzle out and join his winning team. He stated this while reacting to a recent public protest at the national headquarters of the PDP in Abuja which was staged by a group of youths from Cross River State who urged the party not to give him its ticket next year. Ayade said he had executed many people-oriented projects in the state to deserve automatic ticket for 2019. A statement by his spokesman, Mr Christian Ita, said the protest in Abuja was staged by “failed politicians hiding under a faceless group”.